$0.00 discount on your entire purchase. A nod to the Wisconsin Driftless area that we call home, this lovely Vidal Blanc varietal is nutty and floral with succulent fruit character. Driftless takes the palate on a refreshing journey of discovery that culminates with a hint of orange on the citrus-y finish. Pair it with seasonal fruits, brie cheese, summer salads and most any meatless entree. Great sipping wine, easy crowd pleaser. AND, tasting room sales benefit the Driftless Area Land Conservancy. There are no food pairings yet. Treat someone you love, a friend, co-worker, neighbor or kind stranger to the fabulous gift of Botham Vineyards wine or View product. Wisconsin Dry Red Wine Robust, raisin-y and full of body and attitude, Field 3’s fruit-ahead character resonates well against gentle View product. Wisconsin Dry Red Wine Estate-grown and of mild body, this dry, oak-aged red is entirely representative of its Marechal Foch View product. 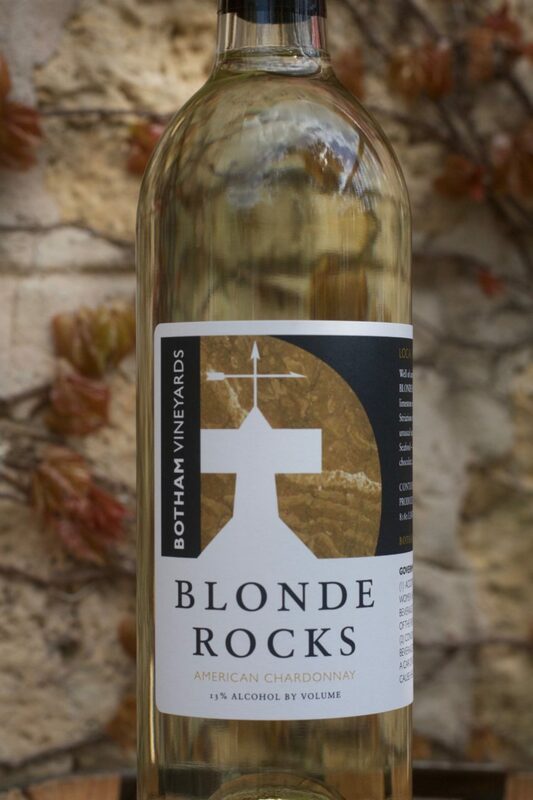 Well of course we know that blondes rock, but BLONDE ROCKS is an off-dry, cold-climate-grown Chardonnay named for the rich View product. American Semi-Dry White Wine Strong citrus overtones and a refreshing blend of clover and spring grass are evident in this View product. American Semi-Dry White Wine Cupola is a delicate, smooth, enchanting mouthful of freshness. Never overpowering, it is the perfect sipping View product. Deep berry overtones emerge over a rich and luscious grape-y off-dry base that is as enchanting as a crisp autumn View product. American Semi-Dry White Wine Crafted in the Johannesburg style for gentle sweetness, our Riesling is smooth, rich, mouth-filling pleasure. Deep View product. 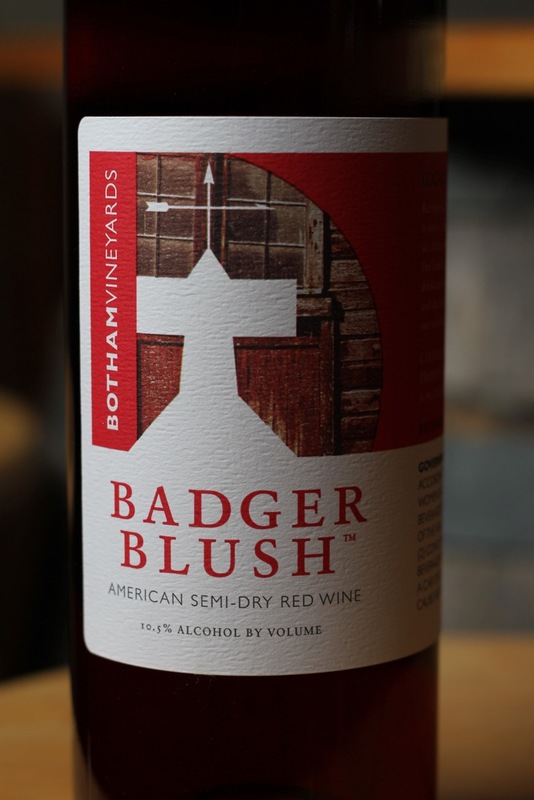 American Semi-Dry Red Wine Refreshing, flavorful, spirited and a little sassy, Badger Blush is serious fun in a bottle. A View product. Wisconsin Semi-Dry Red Wine Big Stuff Red is a mostly estate-grown semi-dry, fruit-forward red wine that should be served chilled. View product. American Semi-dry White Wine A nod to the Wisconsin Driftless area that we call home, this lovely Vidal Blanc varietal is View product. American Sweet Dessert White Wine Crafted as a sweet dessert wine, Finis is sweet, but not in the sugary, syrup-y View product. Botham Vineyards & Winery is part of the Botham Brands family. For more information about our other brands, click below. Copyright © 2005–2019 Botham Brands. All rights reserved.